For me vacation is getting away from my every day life and routine. Not rushing out the door to work. Stopping to enjoy a second cup of coffee on the lanai. Having the best shave ice at 10 in the morning. My daughter informed me that she has tragically never had a shave ice. I sprung into action. 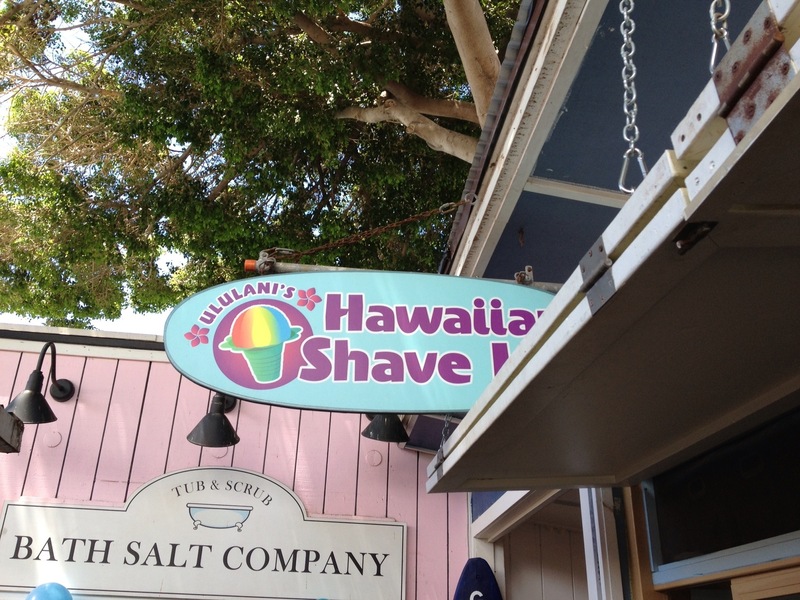 We went down to Ululani’s Shaved Ice. I don’t want to throw terms like best parent ever but pretty sure that is what my daughter was thinking. They had lots of great favors to choose from. Of course my daughter didn’t go with the typical tropical flavor but rather cotton candy and grape. 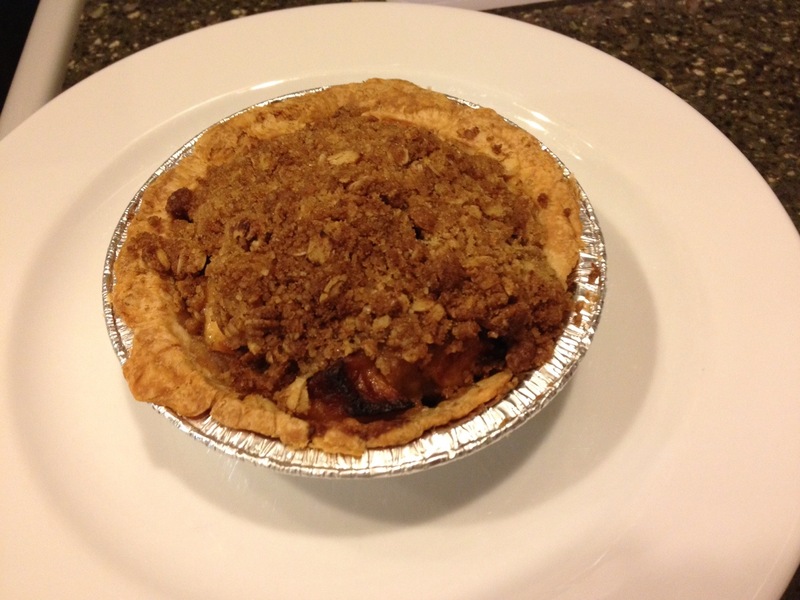 I also wanted to try a new spot yesterday so we went to Leoda’s Kitchen and Pie Shop for lunch. It was a great find. 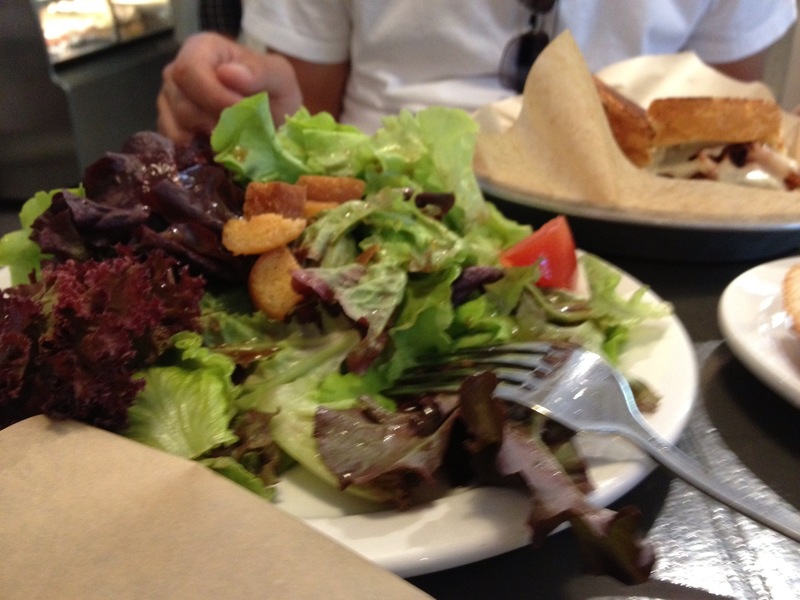 Good sandwiches and a nice salad. 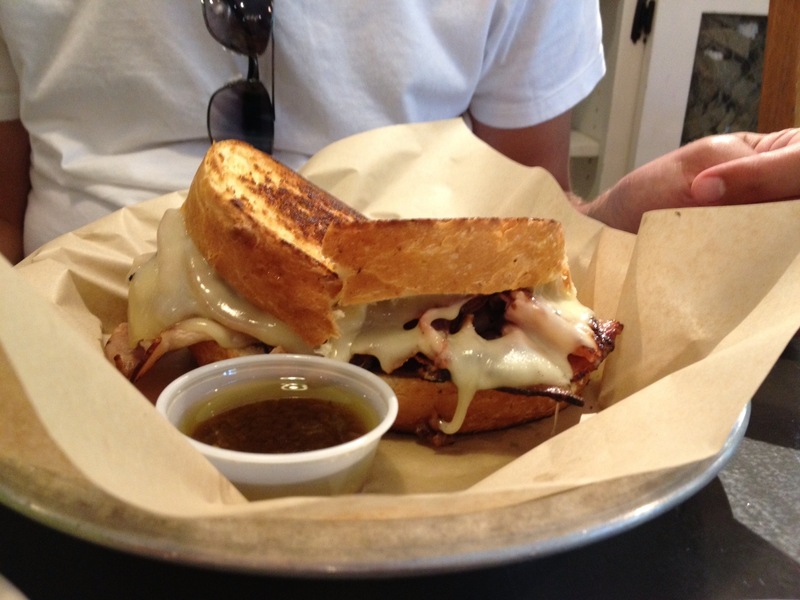 Portions were generous but it was a bit pricy, $12-$15, for their signature sandwiches. They were worth the price. We got the Ham’n and pork, pork, mmmm pork sandwiches with the out of the garden salad. Both were a great flavor combination. All served on homemade bread. My daughter got a great PB&J which she proclaimed delicious. 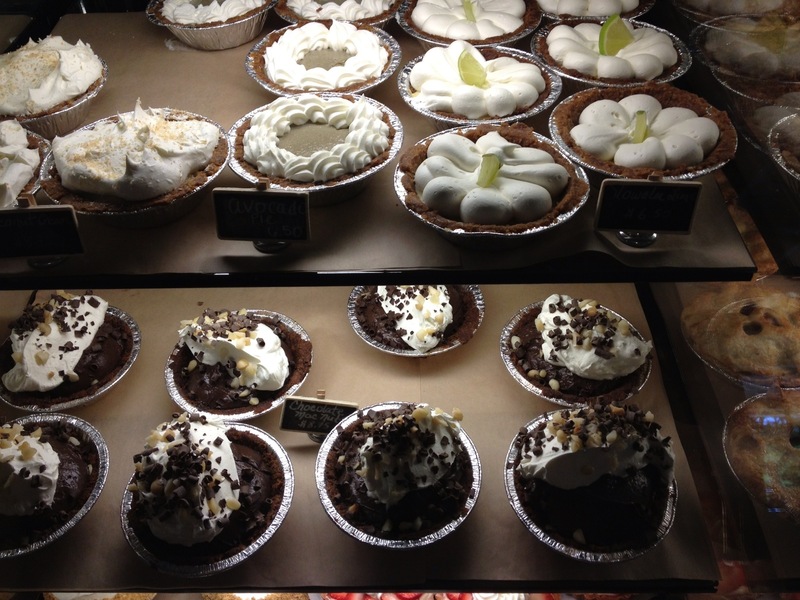 And then there is pie and who doesn’t love pie. Again please forgive the pictures as this experiment with blogging via my phone is a first time but they were amazing. We opted to buy some to take home for dessert later. They were front of mind for my daughter all day. There were pies in the fridge just taunting her. Eat me! I am going to make a bold statement. 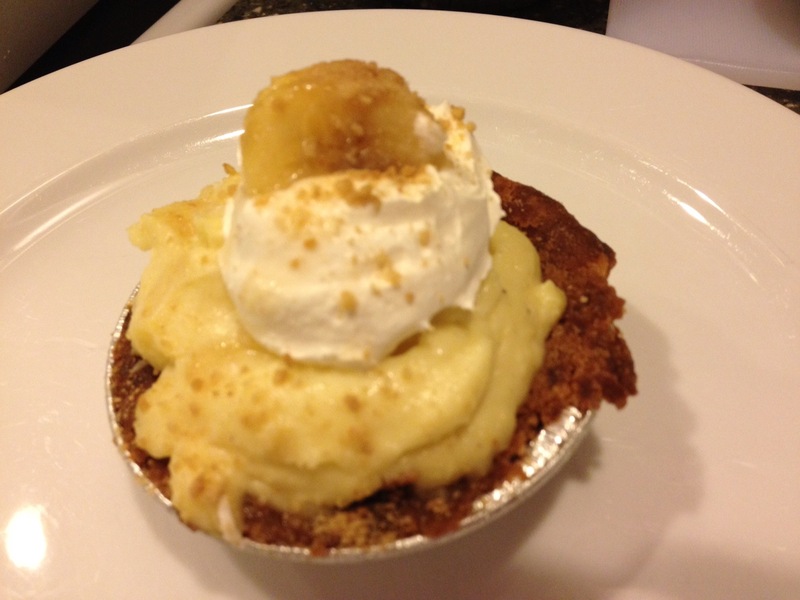 This is the BEST banana cream pie I have ever had. It was not too sweet and full of banana. The crust was crisp and flavorful. I would buy this agains and again. A well balanced crumb topping with brown sugar and oatmeal. The apples were firm and the crust was crisp. The minis are the perfect few bit size. This pie was rich and creamy. 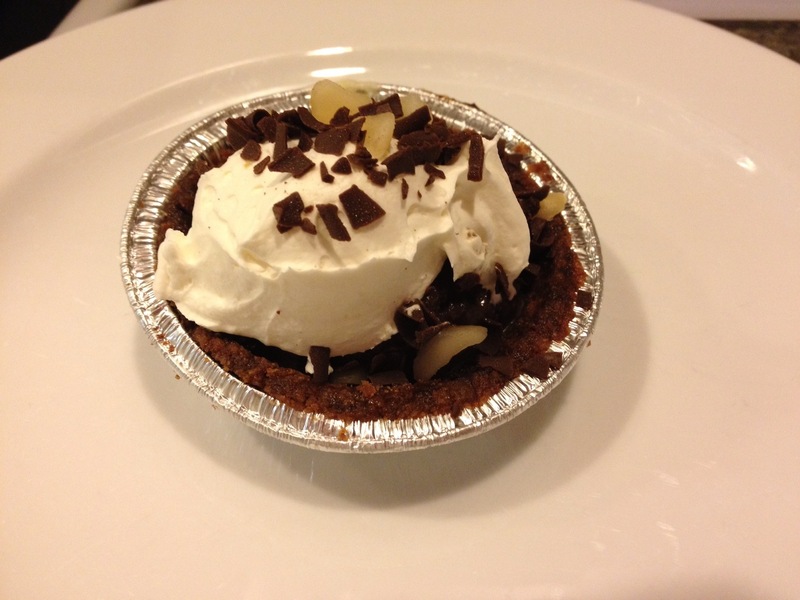 Chocolate pie is not my cup of tea but my family thought it was amazing. 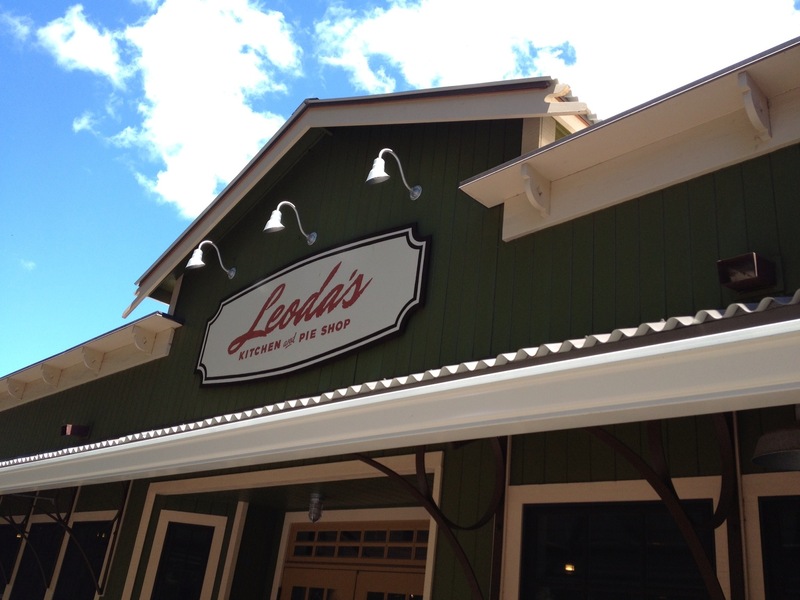 This entry was posted in Adventure, Food, Posts and tagged adventure, kid, Leoda's, maui, pie, shave ice, Vacation by 24useablehours. Bookmark the permalink. Looks like you guys are having a wonderful time! Man, now I need some pie.